Cheer on your favourite team at Above Eleven Bali! 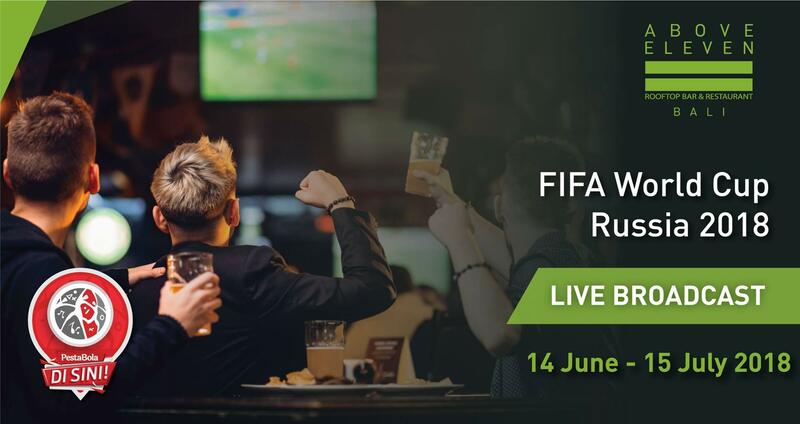 Watch live broadcasts of FIFA World Cup 2018 at our bar on the big screen ???? 5 Bintang Beers & 3 Peruvian samplers for only Rp.300,000. Keep checking our event page and Facebook page for more updates on the matches that we'll be broadcasting!